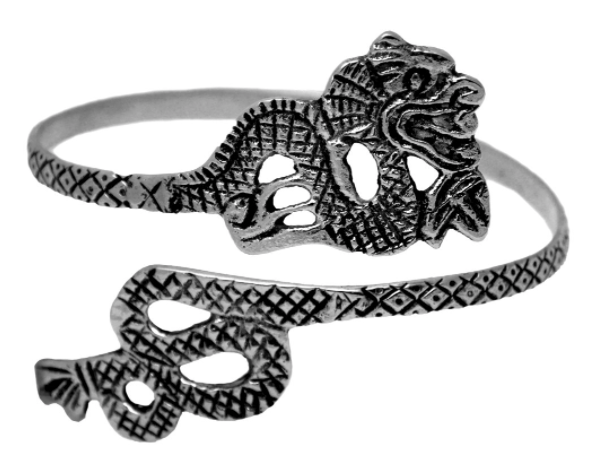 This dramatic armband in a dragon design is heavy duty, high-quality and adjustable to fit most sizes. Can be worn on upper or lower arm. Made in India. 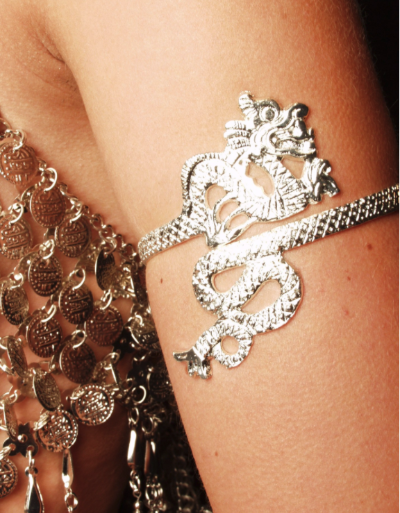 This dramatic armband in a dragon design is heavy duty, high-quality and adjustable to fit most sizes. 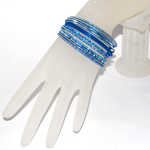 Can be worn on upper or lower arm. 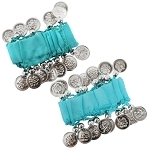 Great for stage, parties, club wear and more! Made in India. I love these because they bend and stay on. I have very small arms and these work but they will adjust for large arms too. These armbands were absolutely perfect for the costume I wore as Queen of Dragons from Game of Thrones. They are of good quality, easily adjustable (my friend borrowed them and has much larger arms and they were easy to adjust to her and then back to mine with no worry of breaking). They also arrived quickly in nice packaging. Highly recommend this product and this Seller. This is a nice arm cuff. I can't wait to add it to my costume.